Sharks is featuring the Dessi Designs Sharks Watercolour designs. With its vibrant colours and unique design, it is truly state of the art. So no matter if you are a coffee lover or tea lover, this 11oz mug will be a GREAT way to have your cuppa. 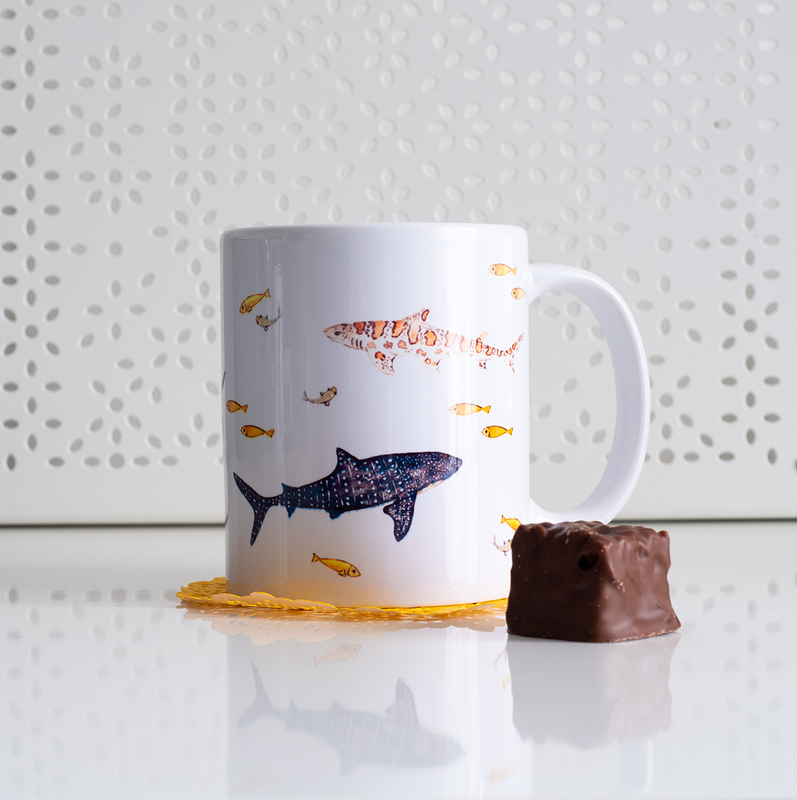 Each Shark element has been hand drawn and coloured with watercolours before being scanned and transferred onto the mug. This mug is made of ceramic, and it has a glossy finish. The print runs throughout the whole mug, so there isn't handism -both righties and lefties can own it. The artwork is printed directly onto the mug by heat transfer, which ensures its durability. Mugs are dishwasher and microwave safe, but I always recommend gentle hand washing. Red Foxes Ceramic Mug, 11oz.